Imagine you could play golf with a bigger group of friends, finish sooner and not have to carry a heavy bag of clubs. A new form of golf has been launched that will solve all of those problems for you. Footgolf is a very simple game; you kick a soccer-sized ball around the course onto specially made greens with 53 centimetre wide holes. The winner of each hole is the one that puts the ball in the cup with less kicks, as in golf. 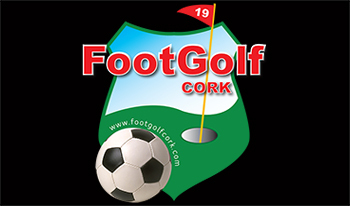 A gift voucher from Foot Golf Cork is a great gift to give and receive. 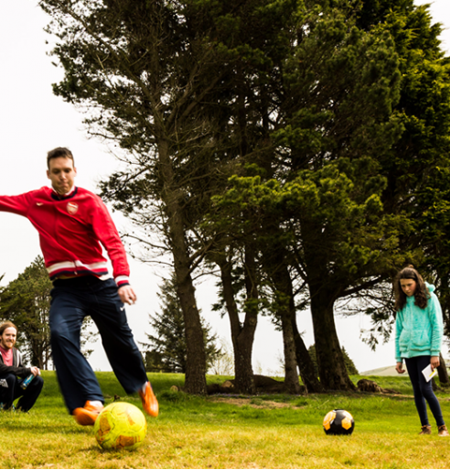 Foot Golf is a fun new sport that everyone can join in and play. The value of this gift voucher can be used towards any of our services available at Foot Golf Cork, including tickets, ball rental and can also be used in our Bar and Cafe. Imagine you could play golf with a bigger group of friends, finish sooner and not have to carry a heavy bag of clubs. A new form of golf has been launched that will solve all of those problems for you. 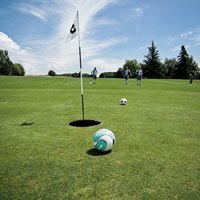 Footgolf is a very simple game; you kick a soccer-sized ball around the course onto specially made greens with 53 centimetre wide holes. The winner of each hole is the one that puts the ball in the cup with less kicks, as in golf.